Acura will attach its “A” logo to an IndyCar racer for the first time since 1994. It may not be as momentous as, say, Alfa Romeo’s recent return to Formula One, but Acura’s move means more than two car brands will be represented in IndyCar (the race series built around the Indianapolis 500) for the first time in years. Acura’s return to IndyCar is a one-off. 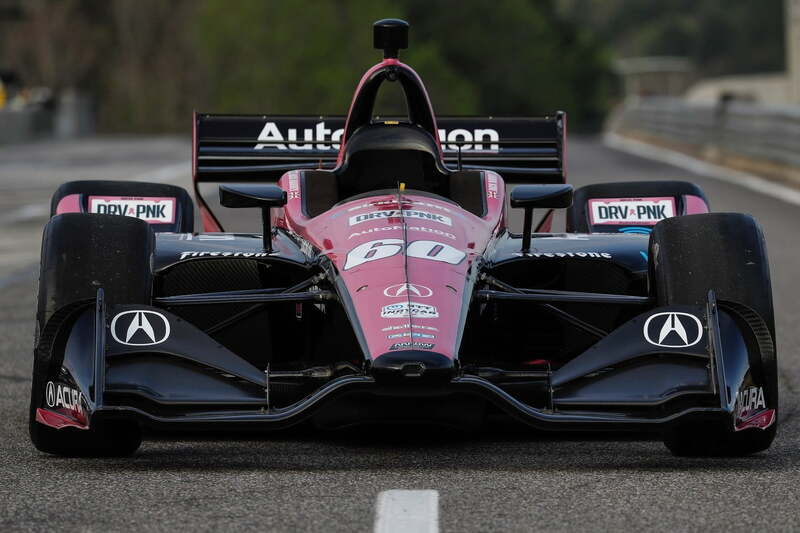 The number 60 Meyer Shank Racing car driven by Jack Harvey will wear an Acura livery for the upcoming NTT IndyCar Series Grand Prix of Long Beach, held on the streets of its namesake California city. This is meant to publicize Acura taking over sponsorship of the race. The car itself will be unchanged, and Acura hasn’t discussed further use of the livery at other races. It wouldn’t be difficult for Acura to continue, however. Acura is the luxury brand of Honda, and Honda is one of two automakers supplying engines to IndyCar teams (the other is Chevrolet). Since Acura and Honda road cars often share DNA, slapping the Acura logo on a race car powered by a Honda engine is fitting. All IndyCar teams use the same car design, regardless of whether the engine comes from Honda or Chevy. So there was no need to design an Acura-specific car. Much like Alfa Romeo’s return to F1, Acura’s one-off IndyCar return is mostly a marketing exercise. In Acura’s case, the current state of IndyCar encourages that. Acura’s last foray into IndyCar racing was also marketing-driven. In 1994, Acura sponsored a car for the Comptech Racing team in the CART (Champion Auto Racing Teams) series. At that time, IndyCar racing had split into two competing series that were running similar cars, with CART fighting the IRL (Indy Racing League) to gain the bigger share of television viewers, teams, and overall prestige. That didn’t work out well for anyone, and CART and the IRL merged in 2008. The Meyer Shank Racing team that will race the Acura-sponsored car at Long Beach also runs two Acura NSX supercars in the IMSA Weathertech SportsCarChampionship. One of those cars is notable for having an all-female driver lineup. Acura also developed a purpose-built race car for the series’ top Daytona Prototype international (DPi) class. These racing activities are meant to give Acura a performance pedigree to match German rivals BMW, Mercedes-Benz, and Audi. While Acura has made an effort to imbue its ordinary road cars with a dose of sportiness, the NSX is the only true performance car in the brand’s current lineup.